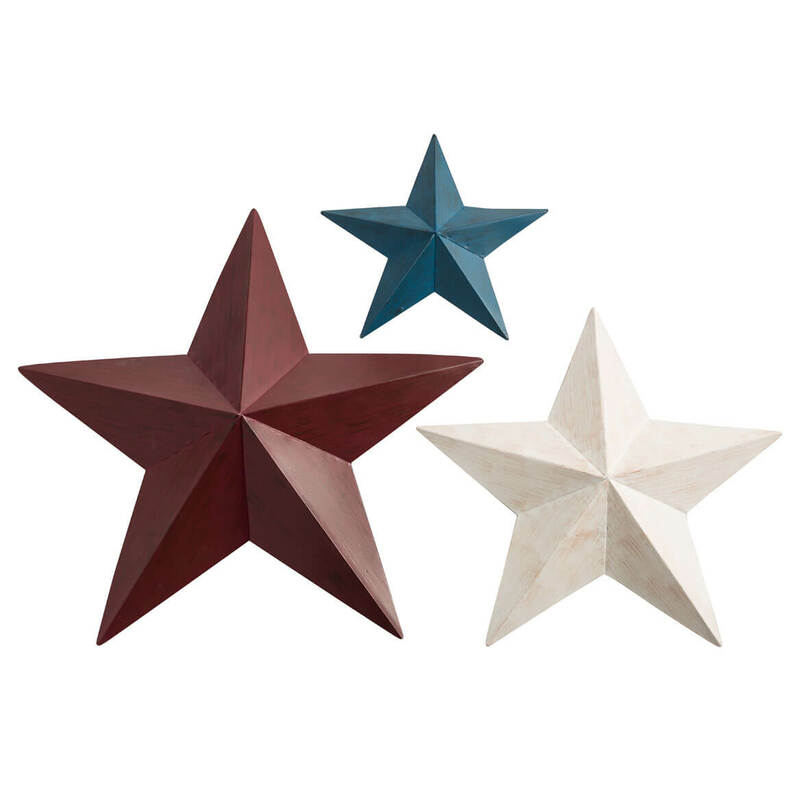 Buy 2, Get 15% Off Select Fox River Creations Decor. Discount Applied in Cart. 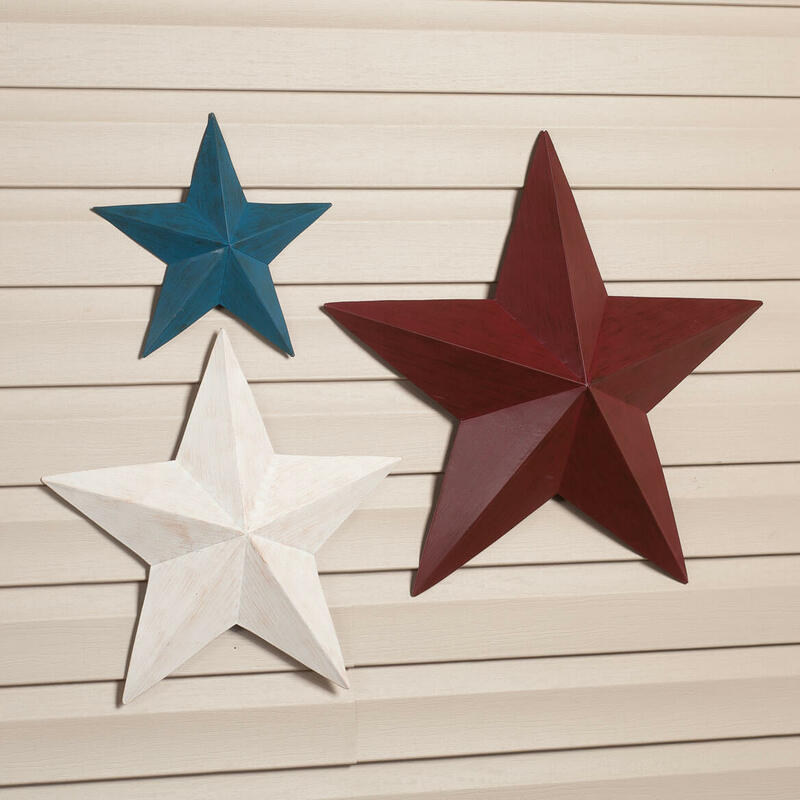 Good price for the size of stars. MY WIFE SAW IT IN YOUR CATALOG, AND WANTS IT. What size are the stars? BEST ANSWER: Thank you for your question. The stars are 23"dia. red, 17"dia. white and 12"dia blue stars. We hope this information will be of help to you.